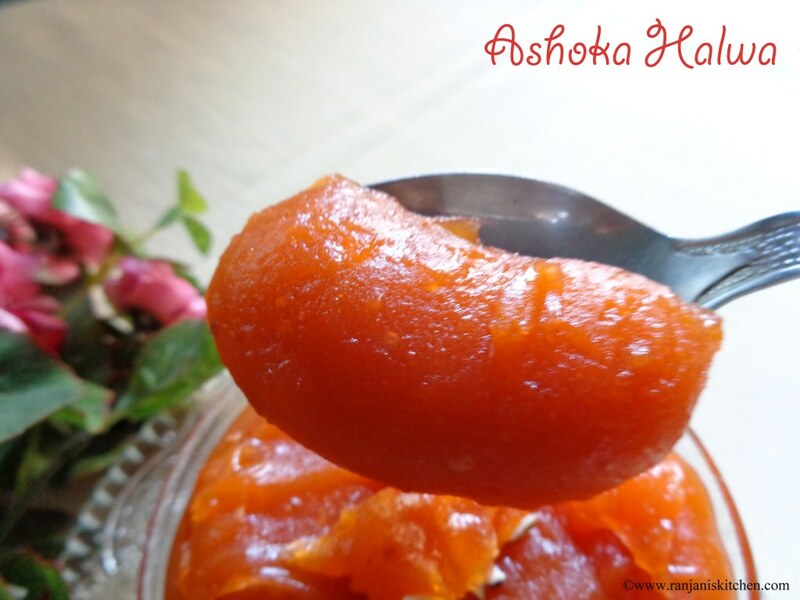 Ashoka Halwa is a famous recipe in Tanjore district.This halwa is popularly known as “thiruvaiyar halwa”. There are some popular shops in thiruvaiyar for this halwa. The texture and taste are very inviting and for sure it’s a drool worthy recipe. If you go to tanjore, you can find this sweet in banana leaf for all occasions 🙂 I tried this recipe twice but failed with the taste and texture what I expected.Main thing was the lump formation.To avoid that I roasted wheat flour fully immersed in ghee.And yes this attempt is successful 🙂 So I posted here.Lets try and give me your comments. 1. Dry roast Moong dhal till nice aroma comes. 2. Add 2 cups of water, then Pressure cook the dhal for 4 whistles.Let it cool for sometime then grind it smoothly in a mixer.Keep aside. 3. Heat half cup of ghee in heavy bottomed pan,add wheat flour,it will totally immerse in ghee,if it is not add extra ghee, stir well for 2 mins. 4. Now add grinded moong dal paste to it,stir continuously without lump formation. 5. Then add sugar and mix well,after adding the mixture becomes runny. 6. Stir for 3 more mins,then add food color, blend well. 7. 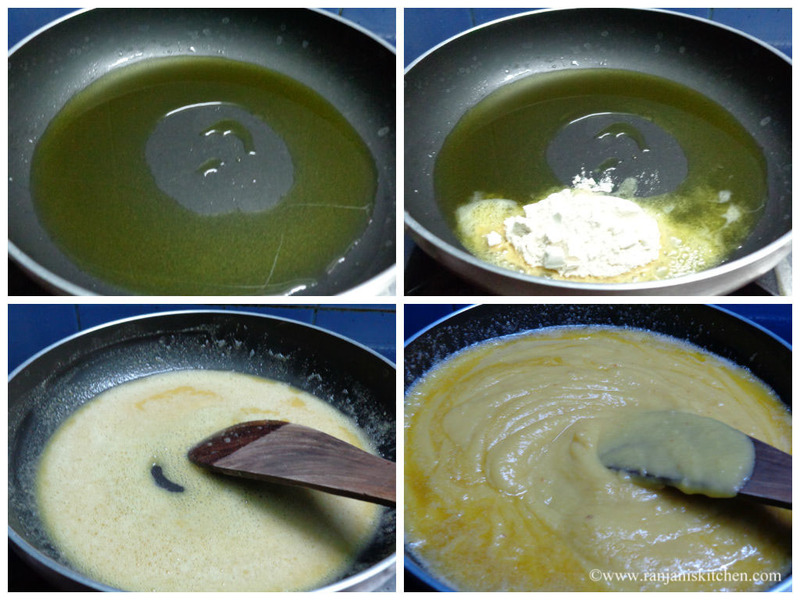 Add remaining ghee, stir until it leaves ghee on sides.Switch off and transfer to serving bowl. 1.Adjust ghee level while roasting wheat flour to avoid lump formation. 2. 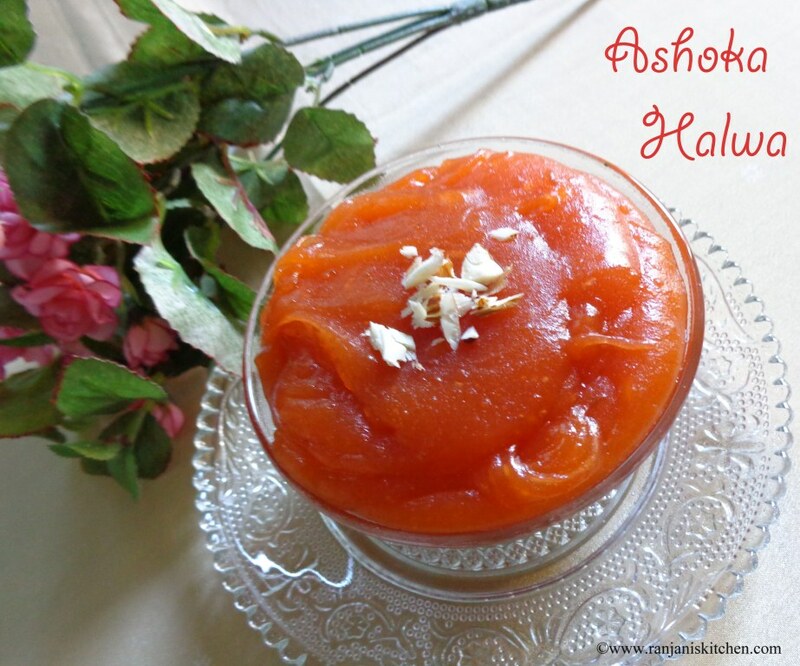 Use red food color which will give rich look for ashoka halwa. 3.Dont add too much of water while grinding moong dal. Even no need to add water. Because it take time while making halwa.Also after adding sugar it becomes runny. 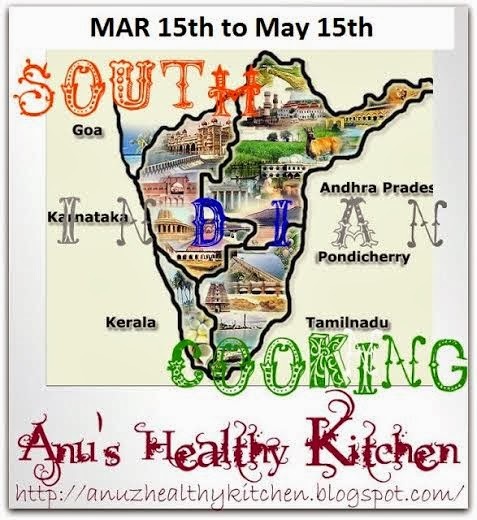 4.Usually I don’t add nuts on it.Bcoz I love the authentic flavor as it is. 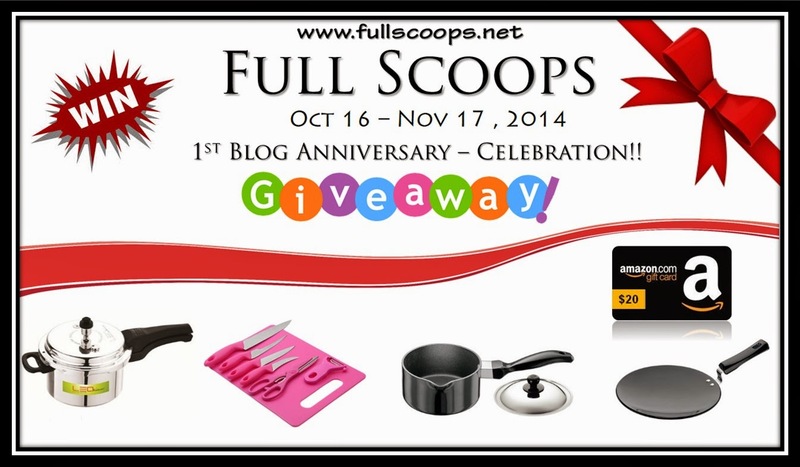 Linking this to Beulah’s First Blog Anniversary Giveaway! 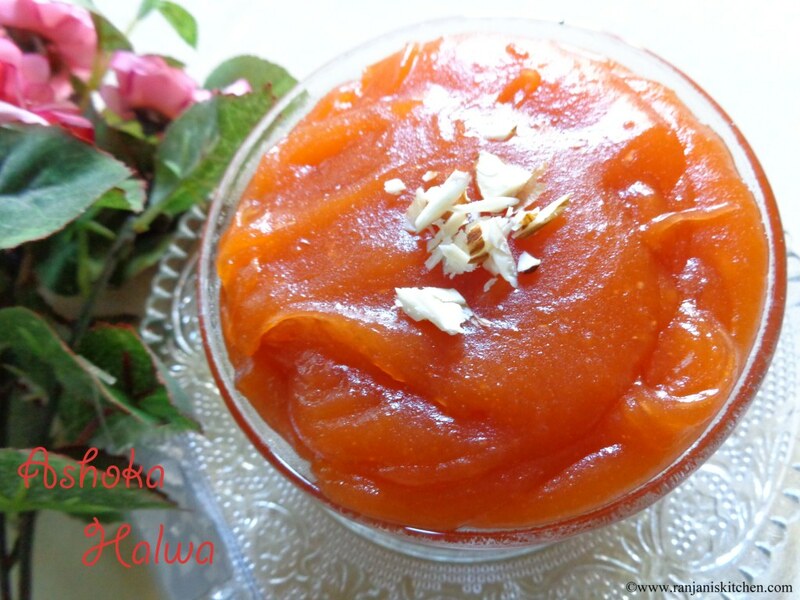 Slurpy Halwa. Looks really delicious. Looks terrific like store bought ones :). Thanks for linking.